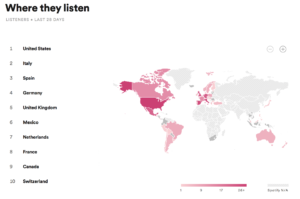 Spotify data is interesting. 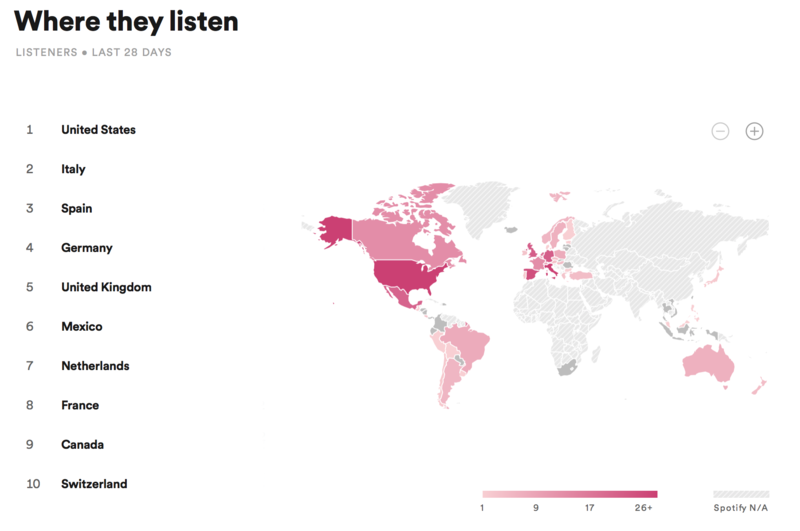 It allows you to check out where some of your listeners are tuning in from. Since I live in the United States, I expect most of the listeners to come form there. But after that, it’s always interesting to see which other countries pop up. Five of the ten countries listed are places I’ve visited and played. Which ones do you think they are? Something tells me it’s time to start thinking about booking more international gigs for the upcoming Fall & Winter seasons. The Netherlands is definitely in the plans for this year’s Amsterdam Dance Event. But where else can we go?